This is Ace with the limit of three roosters in North Dakota. 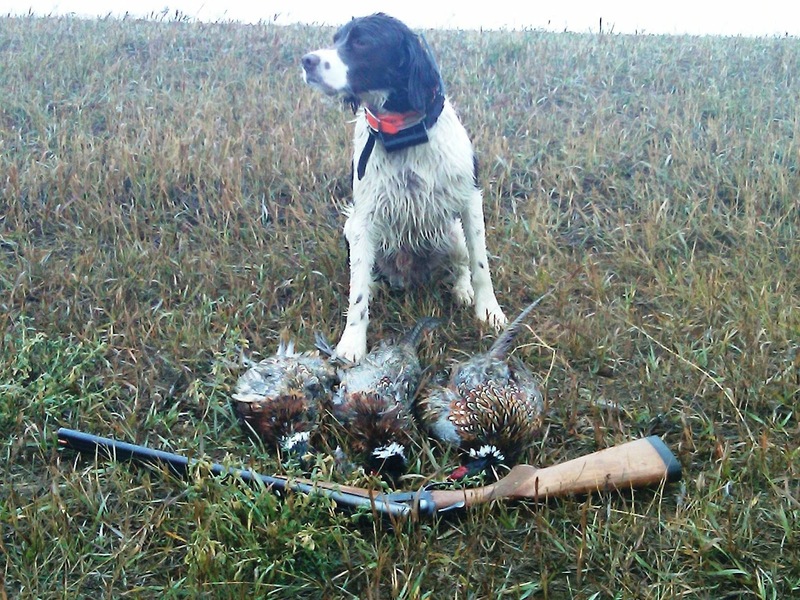 For the past, lets see, 15 years at least, I've been hunting North Dakota for pheasant. While they don't have the statewide name that South Dakota has, where I've been going has at least the number of birds! Over the years, I've gravitated to the area around Mott and Hettinger. The public land is plentiful and the birds are like rats. My friends up there constantly complain about the broken headlights and windshields from these colorful ditch-chickens. Numbers up or numbers down, it makes no difference. For some reason, this corner of North Dakota holds the birds. Now, I do not hunt line abreast with a lab walking in front of me. I use pointing dogs and usually just little old me working a field. I do just fine. The PLOTS land in the area is great! Most of the private land is posted and you must ask permission to hunt. There is a lot of fee hunting in the area, so a sweet little area will probably be off limits- unless it is PLOTS (Private Land Open to Sportsmen). Housing may be a problem now, too. since the discovery of the Baaken oil field under this part of North Dakota, Montana and Canada (Google it), there is a housing shortage- be sure to call ahead to motels. Good luck!